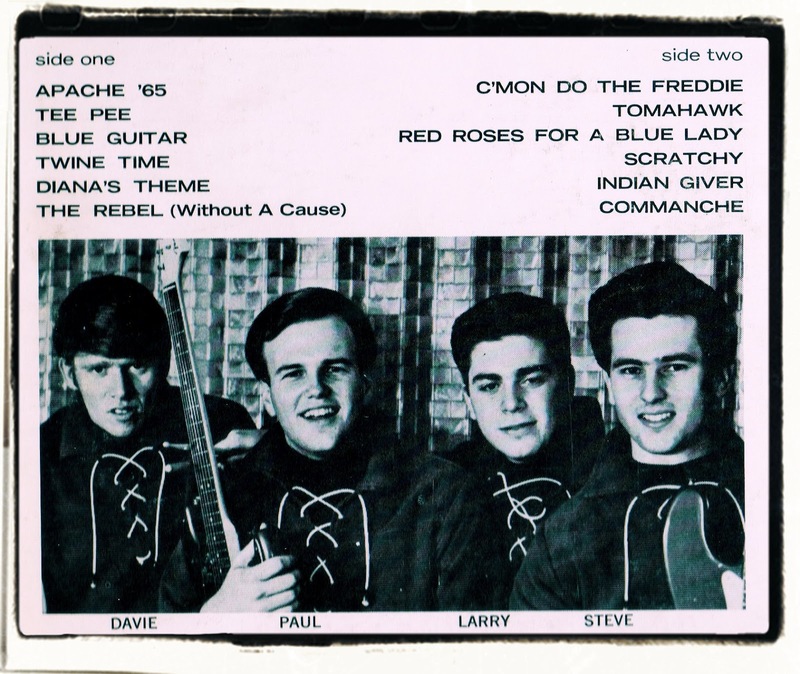 They call themselves The Arrows and their exciting instrumental sound of 'Apache '65' started them on the path to hitsville. Here, in their first album, they prove that their first bull's eye was not just one lucky shot. The style that's attracting all the admiration is built around the funky guitar of Davie Allan, a young but extremely successful Hollywood studio musician who decided he would rather make music with his own group. The writing, pulsing rhythm of The Arrows is supplied by Steve Pugh on electric bass, Larry Brown on drums and Paul Johnson on rhythm guitar - an expert combination as you can hear for yourself. Their musical approach is that The Arrows play their own arrangements in their own distinctive way, whether they are doing a new tune like 'Twine Time' or an old favourite like 'Red Roses For A Blue Lady'. And it sounds like their approach has turned out to be a sure formula for success!